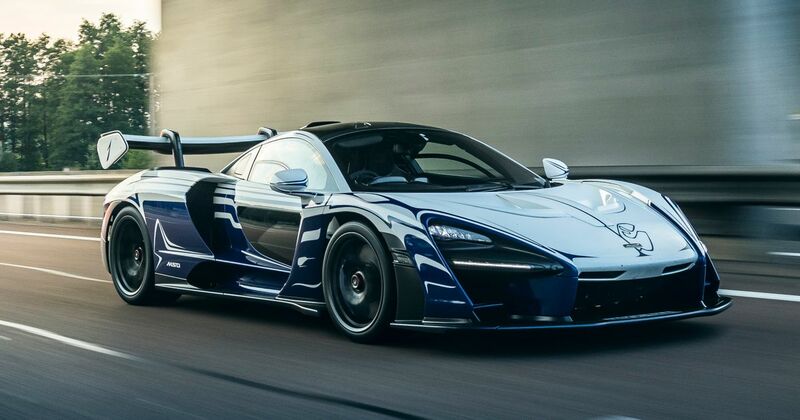 The owner of the first customer McLaren Senna to leave the production line has immediately taken his incredible new track-biased hypercar on a road trip – to a track. 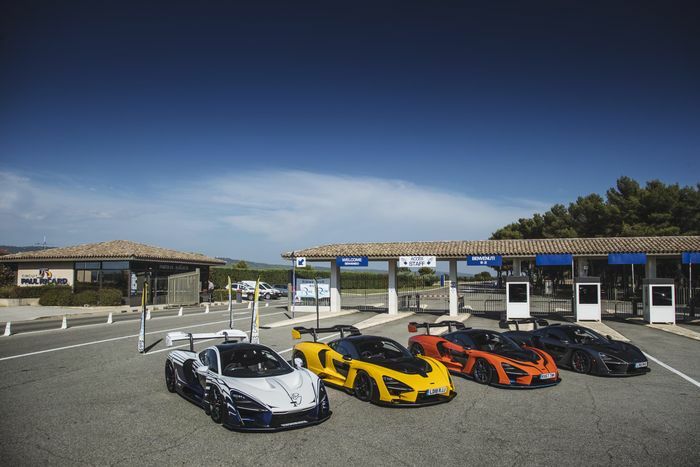 David Kyte collected his heavily personalised Senna, chassis number 001, at the McLaren Technology Centre in Woking and was then accompanied all the way to Paul Ricard circuit in the south east of France by a convoy of five more McLarens – including three more Sennas. Senna 001 wears a bespoke Anniversary White and Aurora Blue paint scheme with the outline of Senna’s home F1 circuit, Interlagos, at the nose. The paintwork took over 600 hours to complete, with two paint specialists working for two solid weeks on masking-up the car before the two colours were sprayed on. 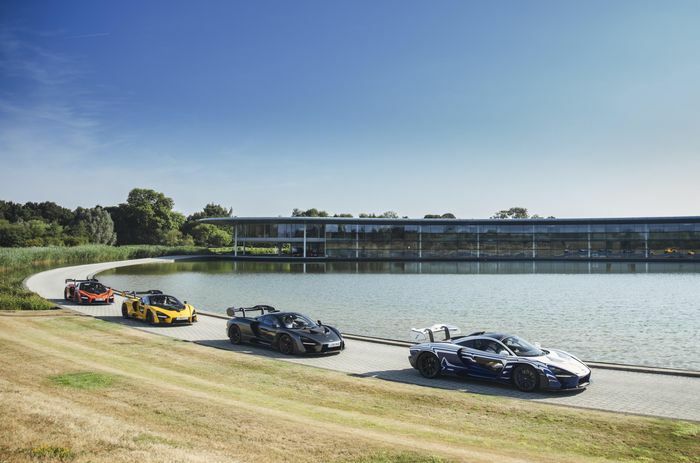 “I committed to buying a McLaren Senna as soon as I became aware that McLaren was developing the car – so long before the name was confirmed – but leaving the McLaren Technology Centre after the handover ceremony was the first time I have actually driven one. 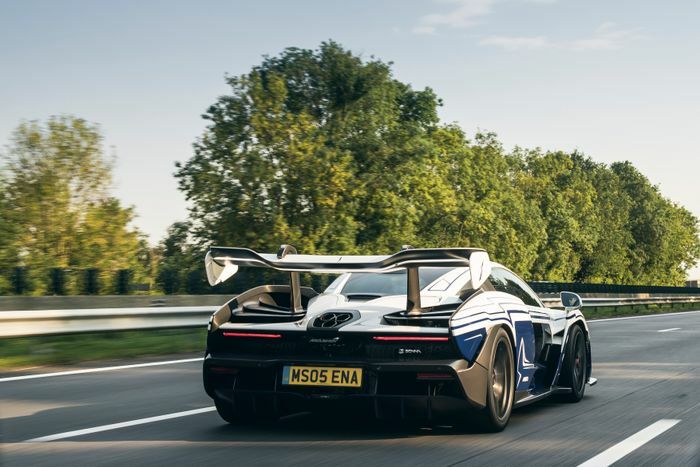 The road trip that he and his Senna embarked upon was aimed at a Pure McLaren experience event, where McLaren customers, both current and potential, can buy track time just for fun or to take advantage of the company’s expert training on the way to gaining a pro racing licence. The weekend conveniently also involved a Pure McLaren GT Series race. 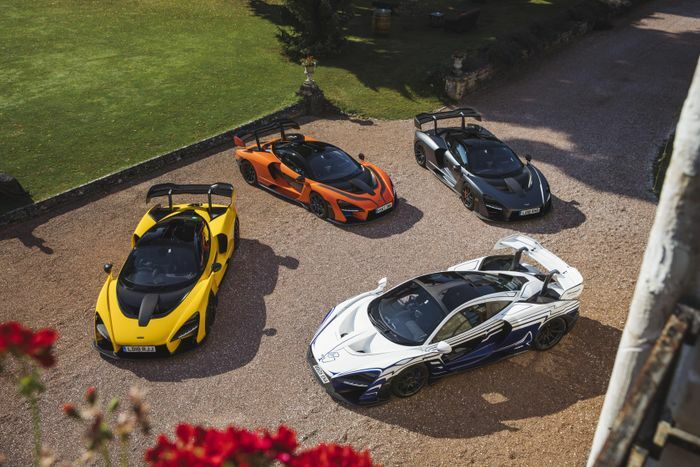 Tagging along for the journey were three other Sennas, either prototypes or customer cars borrowed with permission, plus a 720S and a new 600LT. These five escorts were driven by select McLaren staff and affiliates including Bruno Senna, Ayrton’s nephew, McLaren COO Dr Jens Ludmann and Ultimate Series Vehicle Line Director Andy Palmer.